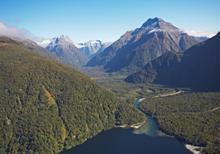 New Zealand offers some of the world's most wonderful and dramatic walking holidays. Despite the harsh winter seasons in the Southern Alps, we can arrange walks all year round to suit every fitness level and to suit every budget. 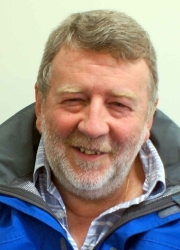 Outdoor Travel's Managing Director, Martyn has been there many times and has nearly 30-years of experience with walking holidays in New Zealand. 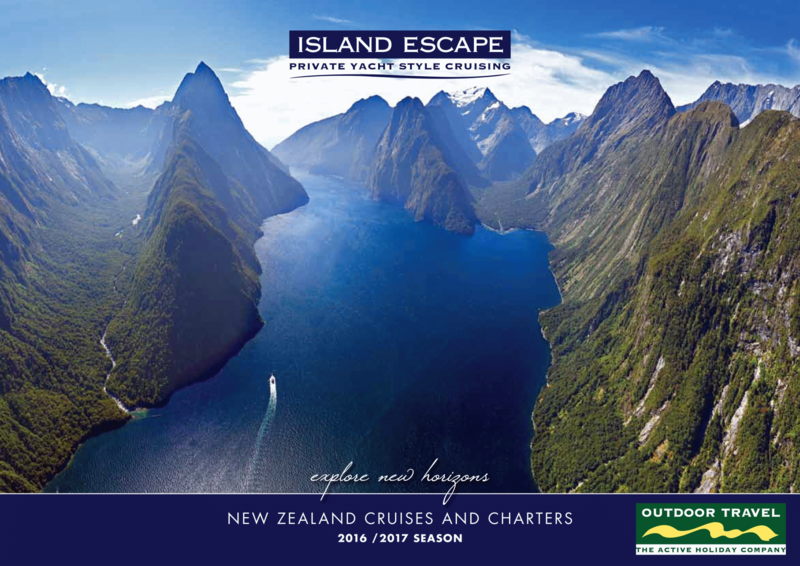 Call Martyn or talk to our team who will gladly help you choose the right holiday on the North and the South Islands. Guided walks in New Zealand can range from 1-day excursions from Queenstown, Taupo or Picton to 3 to 21-day walks in the more remote National Park and wilderness areas - all offer lodge or hotel accommodation, expert guides and a support team. A New Zealand walking holiday is something you really must do. As a 'freedom walker' backpacking your way to Department of Conservation (DOC) huts such as on the Milford Track or Routeburn or on one of the many lodge-based guided walks, there are many hundreds of kilometres of well-maintained wilderness trails for you to choose. Our most popular walk - the Milford Track - is regarded by many as the most challenging and most rewarding, but perhaps one of the most difficult. On the Guided Walk you are expected to carry a medium sized pack with your personal possessions for 15 - 20 kilometres (6 - 8 hours) per day. 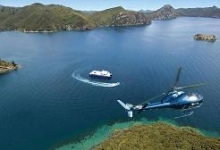 Departures are daily in season (usually from November to April) but demand is high - so early reservations are essential. 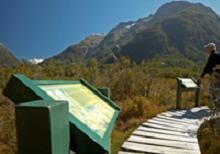 Our favourite walk in New Zealand - operates ALL YEAR ROUND. The Abel Tasman National Park is in the sunniest region of New Zealand's South Island. This world famous coastal track opens up the park's intimate pristine estuaries, golden sand beaches and forested headlands with easy walking - ideal for novice or experienced walkers (or even non-walkers) or those with families. We recommend the 3 and 5-day guided walks or walking plus sea kayaking combinations which allow groups of walkers and families to experience the history, wildlife and natural beauty of this wilderness park. The walk combines quality beach front lodges all with en-suite accommodation, bus and launch transport from Nelson into the National Park, guided walking or sea-kayaking and of course relaxation. 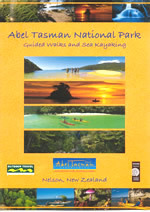 CLICK-HERE For a wonderful news story on the Abel Tasman National Park. Located in the spectacular Fiordland National Park, the dramatic Hollyford Track guided wilderness experience is one of New Zealand’s great walks. On this 3 day / 2 night all inclusive experience you'll enjoy cuisine prepared and served by our friendly lodge hosts while relaxing in our well-appointed and comfortable private lodges. A maximum number of 16 people in your group provides for a personal experience, and with your guide sharing their intimate knowledge of the area with you, it’s a wonderful way to explore the very essence of New Zealand’s wilderness. 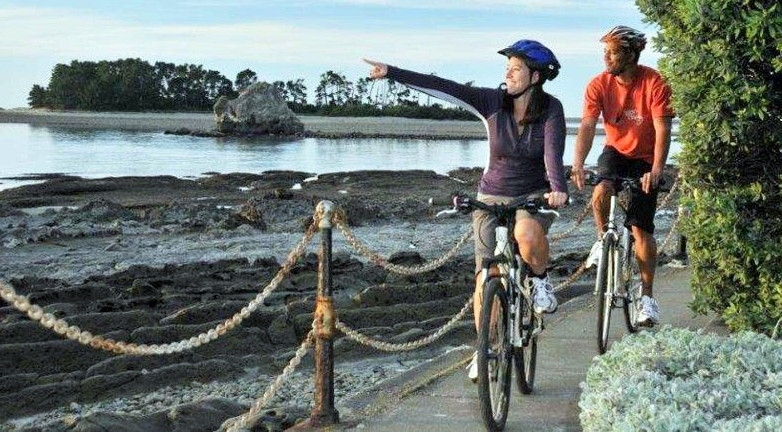 Cycling along rail trails is great fun and has become very popular. 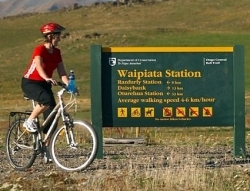 The most popular in New Zealand is the self-guided ride over five days along the former Otago Central Branch railway line from Clyde to Middlemarch on the South Island. For a truly authentic experience this tour also includes a train ride along the only section of the original track still in use, the Taieri Gorge Railway tourist train ride to Dunedin. The railway once provided a vital link between Dunedin, at that time New Zealand's largest city, and the major goldfields of Central Otago. The line was closed after 83-years and the Department of Conservation acquired the disused railway in 1993 and spent six years preparing and upgrading the route for use as a walking and cycling trail. The riding is generally easy to moderate with the trail surface similar to a good unpaved road with some rougher loose blue-stones in places. Highlights of the Rail Trail include the tunnels at Price's Creek and Poolburn Gorge, viaducts and wooden trestle bridges – and of course, the absence of motor traffic. The popularity of the Otago Rail Trail has breathed new life into many of the small towns of the Maniatoto and Central Otago and you will be able admire the Art-Deco buildings of towns such as Ranfurly, while enjoying meals at classic country pubs. 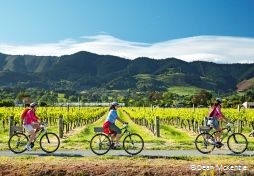 Explore the Sauvignon Blanc wineries of Marlborough by bicycle! 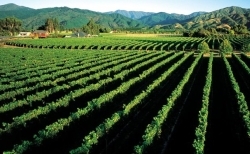 The Marlborough region of New Zealand, without doubt produces some of the finest white wines in the world. The area around Blenheim - easily accessed from Wellington, Nelson or Christchurch - which boasts an array of fine restaurants, arts and crafts is just a short distance from the sea giving it a mild, pleasant, year-round climate. We are delighted to offer a 3 or 4 day stopover program based in quality hotels and upmarket vineyard B&B accommodation. Explore the region by car or for something totally unique explore the back-roads by well-maintained mountain bicycles. Everything including inn-to-inn luggage transfer and selected meals are pre-arranged in the European tradition. The Great Taste Trail Coastal Route in the North of the South Island starts in the city of Nelson and ends at Kaiteriteri, gateway to the Abel Tasman National Park. One of the sunniest parts of New Zealand it is a region renowned for its stunning coastal scenery, sandy beaches and rural landscapes, artistic communities, orchards and vineyards. With a year round mild climate you can expect to enjoy local beers and wines with seasonal fruit and berries, local seafood and cheese. Nelson’s creative lifestyle legacy imparts a special character to this region with lots of arts and crafts, quirky cafés, wineries and craft breweries. This newly established trail is well-signposted with a good tarmac and gravel surface. The trail is off-road, apart from some short sections on very quiet country roads with some road crossings. Most of this route is flat with two short hill sections. 3.5km is on the “Easy Rider” trail in the Kaiteriteri Mountain Bike Park which has a smooth surface, some steep drop-offs, blind corners and switchback corners. 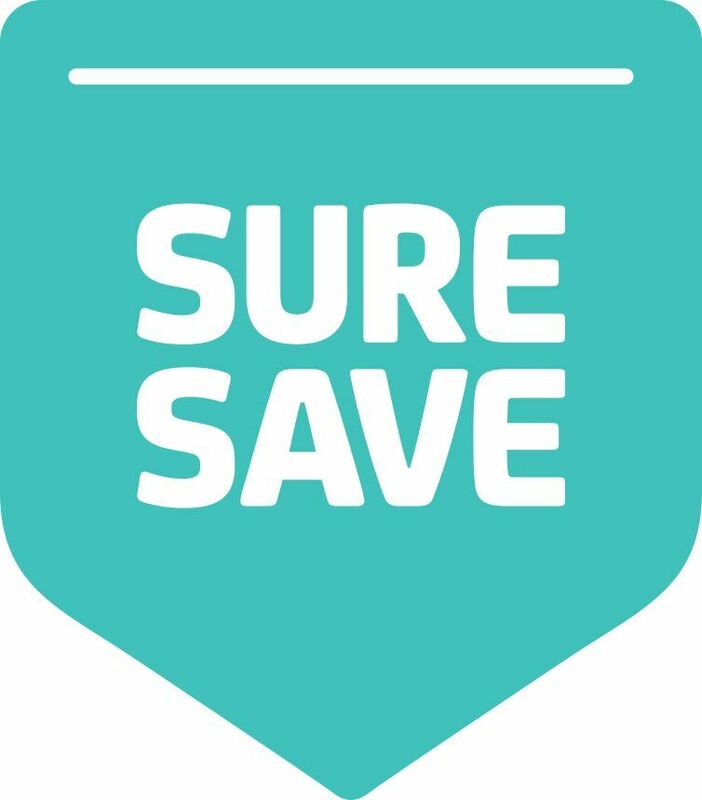 Bike hire, comfortable accommodation, luggage transfer, breakfast and a rest day to explore are included as with our European cycling holidays. The Abel Tasman National Park, located in a gloriously sunny corner of New Zealand, comprises a diverse landscape from native Beech & Podocarp rainforests, ancient fern-filled grottoes & mountain streams cascading into clear pools; to impressive granite headlands fringing legendary golden beaches & crystal clear waters. This extraordinary Park provides habitats for a plethora of New Zealand wildlife including forest & sea birds, dolphins & a breeding seal colony on Tonga Island. With a year round mild climate, enjoy sea kayaking the coast. Paddle in a pristine clear water estuary. Come home to one of our private beachfront lodges for a gourmet meal, fine wine and good company. Stay out late, gazing at the stars, then retire to your own room, let the waves soothe you to sleep at the end of a day that can be as relaxing or adventurous as you like. 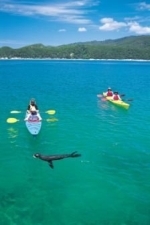 Guided Sea Kayaking or Walking: Highlights include a visit to the seal colony at Tonga Island where you can be entertained by the seal pups. 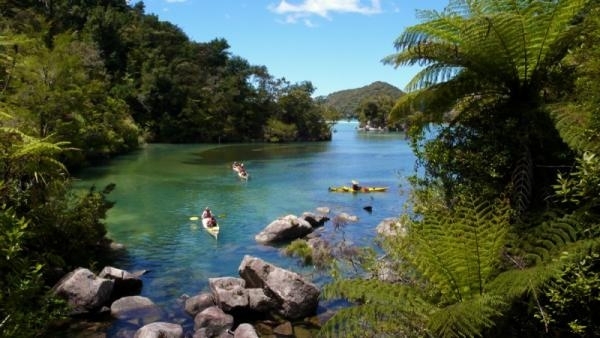 Paddle around stunning rocky cliffs & discover secluded beaches only accessible by water. Here is an opportunity to explore New Zealand in the same way as you can on the small luxury cruise boats and barges of France. The ‘Island Passage’ is a beautifully appointed small ship with a stunning interior. Built and equipped to travel to inaccessible areas she offers the highest level of passenger comfort with 10-spacious en-suite cabins, a large dining room/ saloon lounge, a library and generous outdoor living spaces. The Island Passage carries a landing craft, three large tenders, sea kayaks, a five-seat helicopter, fishing and snorkel equipment and for those looking for less strenuous activities lazing in a deckchair is always an acceptable option. 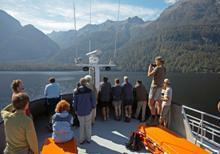 During each journey, our eight-person crew is on hand to share their knowledge of the ocean and local landscapes. For those interested in fishing several levels are available during the cruises to suit the novice to the more experienced angler. In the galley, our chef works with the freshest local ingredients and delicacies to create memorable meals that reflect the day’s adventures.